Ultimate Texas Hold’em is one of the most in-demand niche table games in casinos in Las Vegas and many other states. It is a challenging and exciting game, because it involves some big raises sometimes. 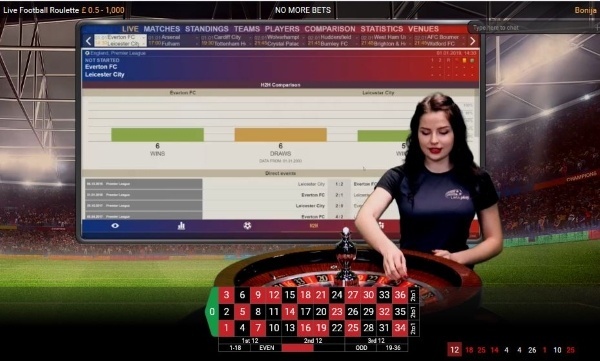 Evolution Gaming in partnership with Scientific Games have created the first online Live Ultimate Texas Hold’em version which is fantastic news for casino players! Live Ultimate Texas Hold’em is the exclusive online live version of the world’s favourite Texas Hold’em game packed full of fun, interest, exciting betting options and strategy play. This is great news not only for poker enthusiasts but for all live casino players as this game offers a lot of excitement. Like all the other poker based live casino games (Live three card poker, live casino hold’em) the tables are open to unlimited number of players (similarly to live roulette) so no need to wait to get a seat in order to play. The game can be found in any live casino online that has games from Evolution Gaming. 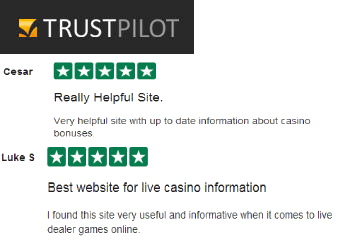 We have hand picked 2 of best UK live casinos for Ultimate Texas Holdem, Royal Panda Casino and Genting Casino but you can find this game in every live casino that has Evolution Gaming tables. Like every other live poker variant, players go head-to-head with the dealer with the object of forming a five-card hand that ranks higher than the dealer’s hand by using their own two cards and three of the five community cards. The dealer must have at least a pair to qualify. The game starts with the player getting 2 cards faced up and the dealer getting 2 cards faced down. At this point the player has the option to Check, Raise 3x or Raise 4x the ante bet. This depends of course on the strength of the two cards he got. If the player got a pair of Kings of r example then it makes sense to raise but if he got a Jack and a 7 unsuited then makes more sense to check. The dealer then deals the first 3 community cards (also known as the Flop) and the player has now the option to Check or Raise 2x the ante bet if he hasn’t raised earlier. The live dealer then deals the final 2 cards (Turn and River) and if the player hasn’t raised earlier he gets the option to Raise 1x the ante bet or fold the hand. In other words the player has three opportunities to make one raise with the Play bet. The earlier the player raises, the more they can risk and win. Adding even more interest is the optional Trips bonus bet which is explained below. An optional side bet in which the player’s objective is to make the best five-card poker hand by combining their own two cards and three of the five community cards. This bet pays on Three of a Kind or better, no matter what hand the dealer achieves.